A new year is upon us gents and what better way is there to kick off proceedings in a month when you have likely swore off alcohol than a review of a fantastic new bar found in the heart of the cultural quarter? So sit back, read and weep as you begrudgingly sip that alcohol-free beer. Opened on Guildhall Road, Bar Hygge is the latest addition to the flourishing Cultural Quarter of Northampton. Part of the Royal and Derngate but open to all, the bar is set to offer beer lovers of Northampton something very special. Pronounced ‘hue-gah’ – yes, we ran into trouble with it as well – the Danish word has no direct translation in English but will soon become synonymous as one of the finest craft beer pubs available to Northampton’s gents. Launching in December, we spoke to beer guru and bartender Luke about the new establishment, whilst ending our five day Dry January struggle in dramatic fashion. Asking where the inspiration came from to open a craft beer pub, Luke explained that with all the great businesses in the cultural quarter, there was a gap for a truly artisan craft beer pub. It was the Royal & Derngate’s Chief Executive Martin Sutherland who drove the project forward, hoping to offer something new and unique to not only Errol Flynn and theatre guests, but all residents of Northampton. The new bar is open everyday except Sunday from 17:00 to 00:00, irrespective of what is showing at both the Errol Flynn Filmhouse and the Derngate, with an entrance both on Guildhall Road and inside the Derngate itself. As we said, Hygge has no literal description but instead refers to the feeling of comfort, warmth and simplicity. It can almost be described as the art of creating intimacy; something the bar achieves with ease. 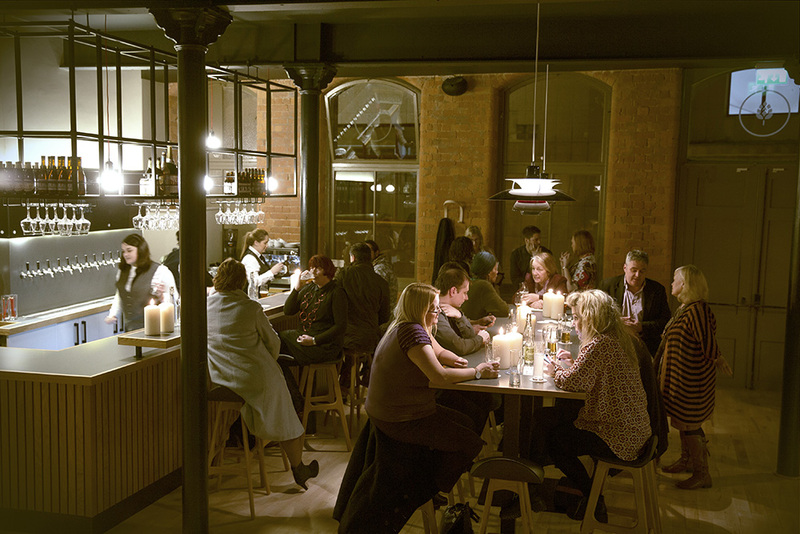 The dimmed lighting and candles dotted all around, combined with the clean and simple décor and exposed brick creates a wonderfully cosy and inviting environment at night whilst still looking fresh and contemporary in the day. Speaking to Luke, he explains how the goal was to create a relaxed and comfortable environment where people come together to chill out, have fun and experience new things. Whilst not the first craft beer pub to make an appearance in Northampton, Bar Hygge does operate in a unique manner by way of table service. Upon entering, patrons are shown to a table and provided a menu where they can peruse the long list of beers and not beers, with staff on hand to discuss and guide. The service will help avoid the sometimes arduous task of getting to the front of the bar to order and the always perilous journey of returning to your table holding multiple glasses without spillage. In the stripped back, minimalistic interior, you could be forgiven for thinking you were in one of Copenhagen’s Mikkeller bars rather than Northampton; however the team at Bar Hygge has made sure to keep all the best local elements behind the bar. With over 65 craft beers to choose from on the exhaustive menu, from dark stouts to sweet fruit beers, we asked Luke how the team decides which beers to keep in stock. He explained that it comes down to three things; what’s local, what’s popular and professional discretion. 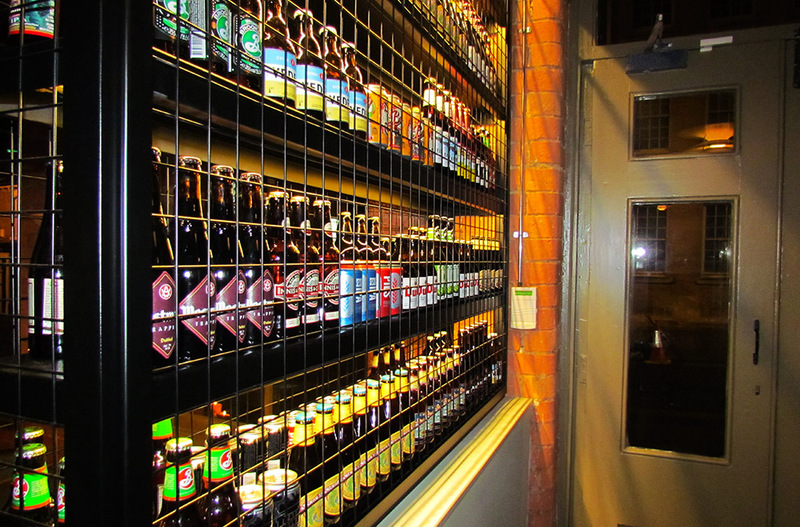 Firstly, the bar looks to feature and support as many local producers of good beers and non-beers as possible. Many of the brewers on the list will not be new to many gents, including Maule Brewing Company, Phipps, Hart Family, Saxbys’ Cider and more. 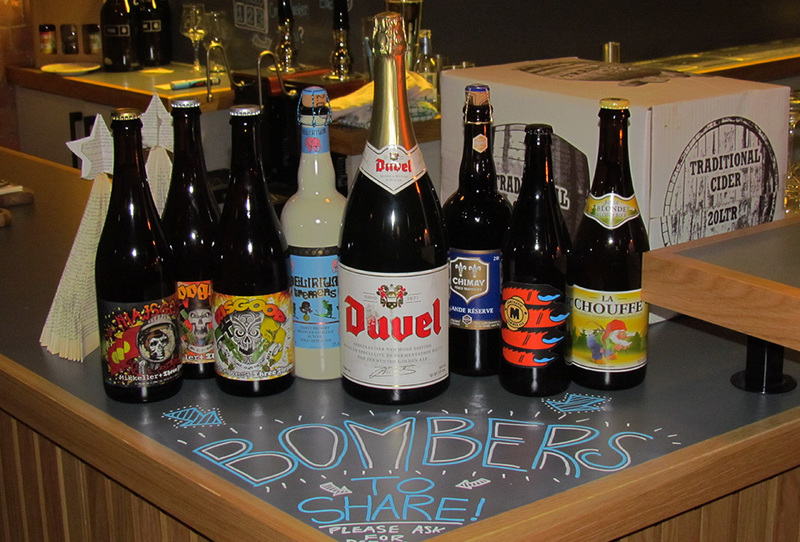 Secondly, the team keep their ear to the ground on what is popular in the ever shifting world of craft beers. Besides an interesting range on tap, including beers from Duvel (Belgium) and Mikkeller (Denmark) and Brewdog’s tremendously popular Punk IPA on tap. In terms of bottles and cans, there is tipple to match anyone’s tastes, with offerings from London, Europe and across the pond – and even an alcohol free option for those determined and foolhardy enough to continue with their Dry January dreams. Lastly, Bar Manager and beer enthusiast Alan Lynn uses his vast knowledge and discerning taste buds to hunt down any beer or cider that should be behind the bar, sourcing left field options that will be new or unknown to many. For the non beer drinkers out there, the bar also has an aptly named ‘Not Beer’ menu, featuring a range of wines, well selected local and non local spirits, including Two Birds Vodka and Warner Edwards Harrington Gin – a Northampton Gent favourite. For food, the bar is currently serving up a range of high end British cheeses and cold meats which come served with pickles and is arguably the finest accompaniment to the range of beers. 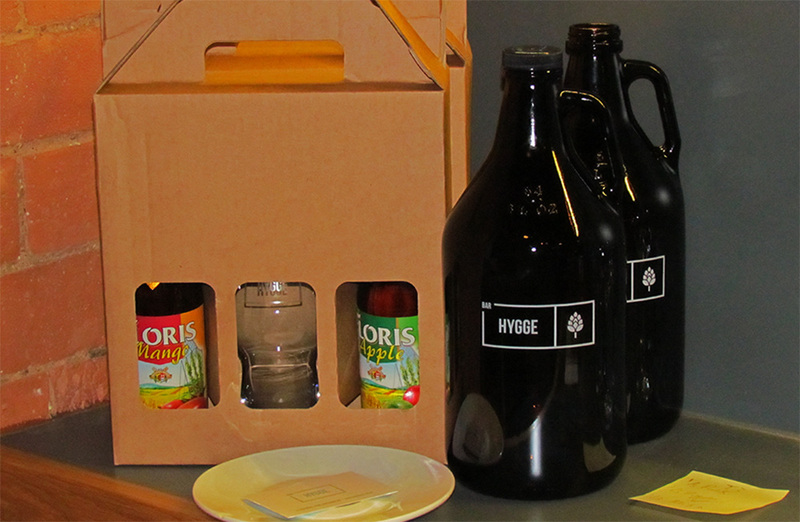 Also the bar allows gents eager to take home their favourite meats and cheeses wrapped up and even provides patrons with the option of taking home their favourite tipple, selling rather stylish “Growlers” for £6. With their first month just behind them, the bar already has grand plans for the future. Careful to remind us that none are set in stone, the bar has some rather exciting and interesting plans for the future. The first and most concrete is that the bar has been given permission to have seating outside for up to 40 people and is the first establishment to have been granted this privilege on Guildhall Road. Now whilst this may be falling on deaf ears as we scrape away the ice from our cars in January, it will certainly be an attractive feature when the warmer spring and summer seasons arrive. Luke also alluded to the bar running acoustic nights, which seem to be a natural fit with the relaxed, chilled out venue. With a great space at the back for an acoustic guitar to serenade patrons, the music will certainly help add to that feeling of Hygge. Lastly, visitors can expect more beers. The menu is constantly being changed and it is likely that every visit will see a new or different addition to the offering. The bar wants to give customers an opportunity to experience something new each visit and will be running guest beers as well. Whilst craft beer is nothing new, what is refreshing is seeing a bar that is pushing the boundaries to offer something different, whether it is with the service or what is behind the bar, in order to deliver a rather special place. As we sipped on a delicious Belgian beer, with the soft music and lighting setting the scene, we felt a little bit closer to understanding that feeling of Hygge. 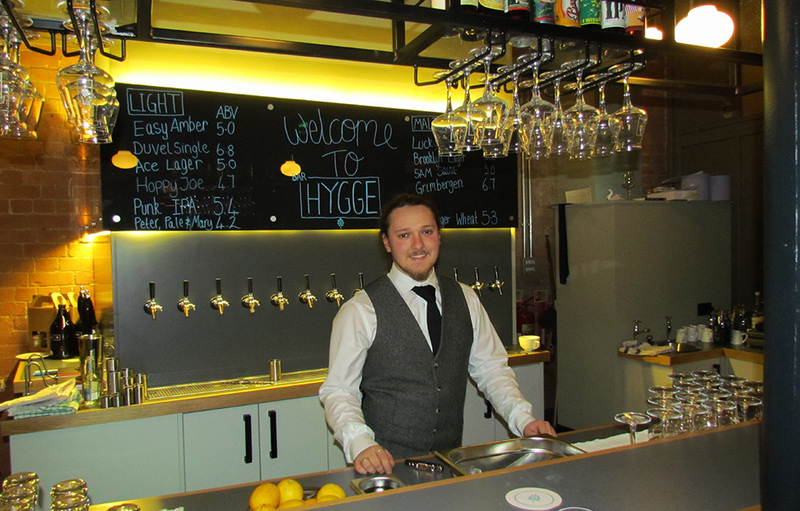 Throughout January the bar is also running Tryanuary, where the team at Bar Hygge suggest a different beer to try each day. Our suggestion is simple; forego Dry January and pay the bar a visit – trust us, the guilt of your Dry January failure will be very quickly offset by the joys of the golden nectar that resides behind the bar.